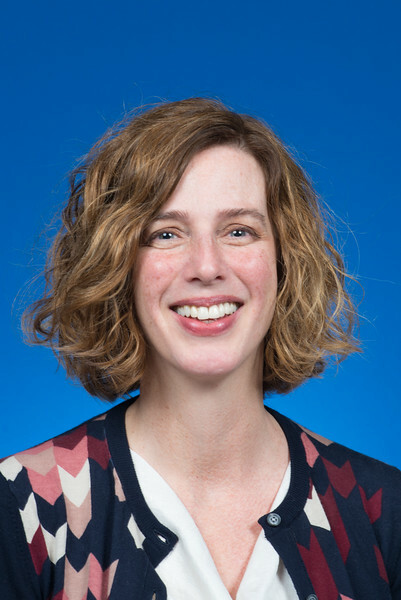 Keri Yousif, professor of French at Indiana State University, received the Caleb Mills Distinguished Teaching Award Thursday during the university's annual Faculty Recognition Banquet. Named for a 19th century educator who helped to shape Indiana's public education system and served as the state's second superintendent of public instruction, the Mills Award recognizes Indiana State's most distinguished teachers. "I see this award as recognition for many years of hard work. I am constantly trying to make my courses and teaching stronger. Sometimes, a text or a new approach works, and sometimes they fall flat," Yousif said. "I'm also an advisor, and I have worked with different groups on campus on curriculum and study abroad. I've devoted much of my career to teaching, and the award is like good champagne -- French, of course! -- a luxury to be savored. The award is especially an honor, as I was nominated by a number of my students. It is the greatest compliment, simply the best ‘thank you' that I have ever received." Having taught English at the Université de Paris XIII, Villetaneuse, France, from 2000 to 2002, Yousif joined the faculty of Indiana State's languages, literatures and linguistics department as an assistant professor of French in 2004. She was promoted to associate professor in 2010 and achieved full professorship in 2015. "I have thousands of memories of small moments when students ‘got it,' both in and outside the classroom: they understood the author's point of view, the character's actions, the use of the conditional in French, the links between language and culture, the connections between a city and its poets, etc.," she said. "All of these memories and the collective feeling of accomplishment form a refrain for my teaching. The students' successes and the many ways they have shaped my teaching and scholarship will always stand out." During her time at Indiana State, Yousif has held many leadership positions, including serving as director of interdisciplinary programs, 2009-2013, and interim chair of the philosophy department, 2012-2013. Yousif earned a bachelor's degree in French and journalism from Baylor University in 1993. She received a master's (1996) and doctorate (2003) in French literature from the University of Texas at Austin.